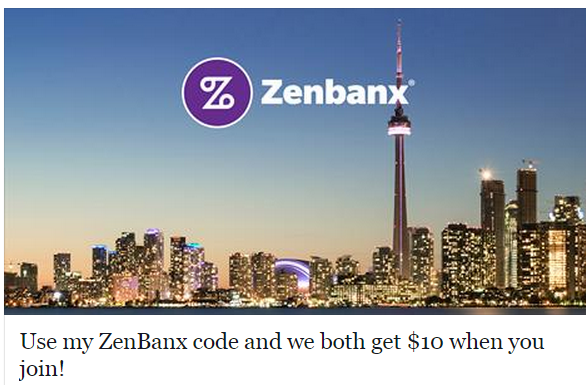 Shop using your Zenbanx Debit Card in Canada, the US or abroad OR Send money to a loved one in the Canada, the US or abroad. Any combination of 3 of the above transactions valued at $50 CAD or more before December 31, 2015, will qualify you for this $50 CAD credit. For example, you can just shop 3 times (each transaction > $50) using the Zenbanx Debit Card in Canada to qualify for this promotion. You can also send money to 3 of your friends and they send the same amount back to you to be qualified.